BEECH HOUSE combines elegance and comfort with a lively and healthy lifestyle on one of the most sought after streets in The Beach. A world apart from conventional condominiums, BEECH HOUSE is a luxurious boutique building offering 95 spacious terraced residences with superior finishes and spectacular views, central to everything but just far enough away from the bustle of The Beach in the summer. Located at 353 Beech Avenue, BEECH HOUSE nestles into the mature tree canopy and blends into the local urban fabric. Step out your front door, walk across the street and you are in the Glen Stewart Ravine, following the densely wooded nature trail down to Queen Street and beyond to the lake. BEECH HOUSE enhances the pedestrian streetscape with it’s spacious colonnade wrapping around Kingston Road and down Beech Avenue, providing a sheltering and inviting street level presence in the neighbourhood. The building interplays natural stone, brick and stucco to create a palate in harmony with it’s natural setting. The two storey YMCA space is invitingly on view through the extensive windows at grade, welcoming the community to come in and be part of it all. The Beech Avenue entrance to the private residences is defined by a five storey ledgerock facade which wraps around the glass elevator skylobbies with views out to the lake and the city skyline. Stepping back on the south elevation, the residences have very large and very private terraces with spectacular treetop and lake views. Highlights at BEECH HOUSE include 9 ft to 20 ft high ceilings, gas fireplaces, gourmet designer kitchens with gas cooktops or ranges, natural stone or quartz countertops with premium stainless steel appliances, gas BBQ connections, plus luxuriously appointed master baths. The residences range in size from 800 to 2250 sq.ft. 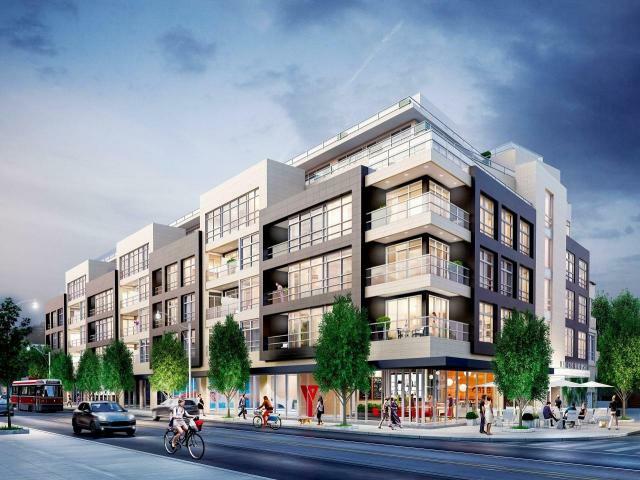 BEECH HOUSE is the new standard in sophisticated living in Toronto’s prestigious Beach community.